 If you’re looking to understand who needs a NC personal umbrella insurance policy, for a better understanding of what is covered or to get a quote, you’ve come to the right place. What is NC Umbrella Insurance? North Carolina Personal Umbrella Liability Insurance (or Personal Umbrella) are very misunderstood by most NC Insurance Consumers. Basically, an “umbrella policy” sits over and above your personal insurance policies. The NC Personal Umbrella Policy provides liability protection in ADDITION to your primary NC Personal Insurance Policies (for most consumers these include: NC Auto Insurance, NC Home Insurance, & NC Boat Insurance). While the primary goal of the NC Personal Umbrella Insurance is to provide additional liability protection over your primary liability limits, there are some additional coverages provided by the NC Personal Umbrella Insurance Policy. Do I Need Personal Umbrella Liability Insurance? Most people classify themselves as either “Wealthy” or “Not Wealthy”. While providing such limitations to one’s financial status is probably short-sighted, it is nonetheless a fact. As Insurance Professionals, our job is to identify, analyze, and mitigate loss exposures. Whether you are “wealthy” or “not wealthy”, a Personal Umbrella Insurance Policy is something EVERYONE could benefit from. Let’s try and look at the need(s) of both types of people. The Wealthy – You, as a “Wealthy”, have amassed a large amount of assets. Those assets be in the form of Cash, Stocks, Private Business, or Real Estate. Now, for these individuals, most have been very careful with the investments they have made. They have paid close attention to investment risk. Now let’s assume that Mr. Wealthy has decided to host a New Year’s Party at his “Estate”. Mr. Wealthy runs in very exclusive circles filled with other “Mr. Wealthy’s”. Let’s further assume that one of these guests is a Doctor. During the course of the evening, Dr. Wealthy decided to go out on the balcony to get a better look at the fireworks show. While leaning on the banister, the banister gives way, and Dr. Wealthy Falls two stories. The good news is that Dr. Wealthy survived the fall. The bad news is that Dr. Wealthy (who happens to be a surgeon) broke both of his hands and suffered extreme nerve damage. Dr. Wealthy will never be able to perform surgery again. Dr. Wealthy, at the suggestion of his insurance advisor, had increased his Homeowner’s Liability Insurance to $1,000,000. The Homeowner’s Liability Insurance paid out $1,000,000 in medical expenses and lost wages to Dr. Wealthy. However, the Courts decided that the loss of future income for Dr. Wealthy was $3,000,000 (not a big stretch assuming $300,000 and 10 years). Mr. Wealthy’s assets had to be sold and liquidated to pay the remaining $2,000,000. Now, our Mr. Wealthy, had to change his name to Mr. Not Wealthy! The Not Wealthy – You, as a “Not Wealthy”, work hard everyday provide a nice home for your family and save money whenever you can. You have managed to build up a little savings. After a long, 12 hour day you are driving home when you run a stop light. You run into a brand new Mercedes owned and driven by Dr. Wealthy. Dr. Wealthy is badly injured. After a month in the hospital, Dr. Wealthy passes, leaving a wife and two kids behind. You, Mr. Not Wealthy, had better than average Auto Liability Limits of $100,000 Per Person/$300,000 Per Accident Bodily Injury Liability and $50,000 Property Damage Liability. The vehicle Dr. Wealthy was driving was totaled and the damages estimate was $70,000 ($70,000 – $50,000 PD Limits = $20,000 owed by Mr. Not Wealthy). The Hospital Bills for Dr. Wealthy total $250,000 ($250,000 – $100,000 = $150,000 owed by Mr. Not Wealthy). The Courts ruled that while Dr. Wealthy was 5 years away from retirement, the loss of future income totaled $1,000,000. So, Mr. Not Wealthy owes $1,170,000 over and above his insurance limits. Now, Mr. Not Wealthy, is Mr. Bankrupt! While these stories are fabricated, you should see why everyone has a need for a Personal Umbrella Insurance Policy. How Much Does Personal Umbrella Liability Insurance Cost? There is no one price for a Personal Umbrella Policy. Each risk (person or family) will have different rating factors. However, the average family with a home and two cars will pay between $80 –$120 a year for a Personal Umbrella Insurance Policy! Yes! That is right. You must QUALIFY for a Personal Umbrella Insurance Policy. How do you qualify? While each carrier is a little different, you must have certain limits of liability on your underlying insurance policies (Home, Auto, Boat). While the actual limits of liability qualifications may change a little from carrier to carrier, most often you are required to carry Auto Insurance Limits of $250,000 Per Person / $500,000 Per Accident Bodily Injury and $100,000 Property Damage Liability. You are required to carry Home Liability of $300,000. You are required (when applicable) to carry $300,000 Boat Liability. Yes! Again, these coverages may vary slightly from carrier to carrier, but the Personal Umbrella Liability Policy does provide some coverages that are not covered by any underlying insurance policies. What Personal Umbrella Limits Can I Get? The common Liability Limit for a Personal Umbrella Policy is $1,000,000. Depending upon the Insurance Carrier, you can obtain up to $10,000,000.